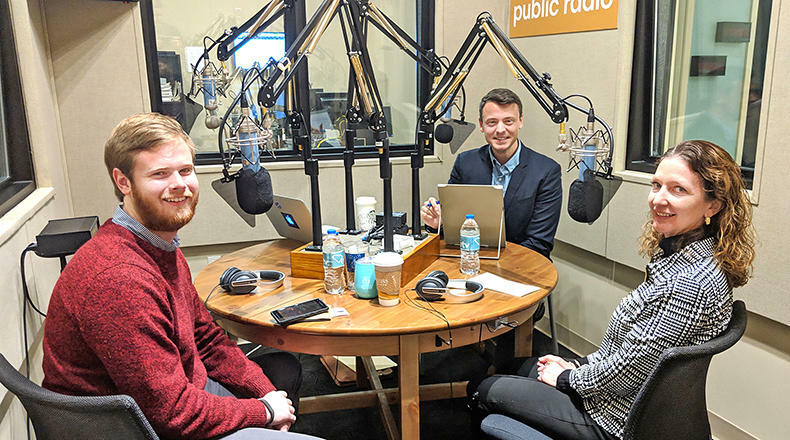 Gavin Jackson speaks with Thad Moore (l) and Seanna Adcox (r) in the South Carolina Public Radio studios on Monday, November 26, 2018. On this edition of South Carolina Lede, host Gavin Jackson speaks with Post and Courier Reporters Seanna Adcox and Thad Moore about the paper's new series "Minimally Adequate," which explores the bleak state of South Carolina's education system. The series analyzes how factors such as segregation, lowered standards, and funding cuts have resulted in a history of subpar education in the Palmetto State. Free access to the entire project is available on The Post and Courier’s website here. Then South Carolina Public Radio's own Statehouse Reporter Russ McKinney drops by to quiz Gavin about South Carolina history in this week's Did You Know segment.